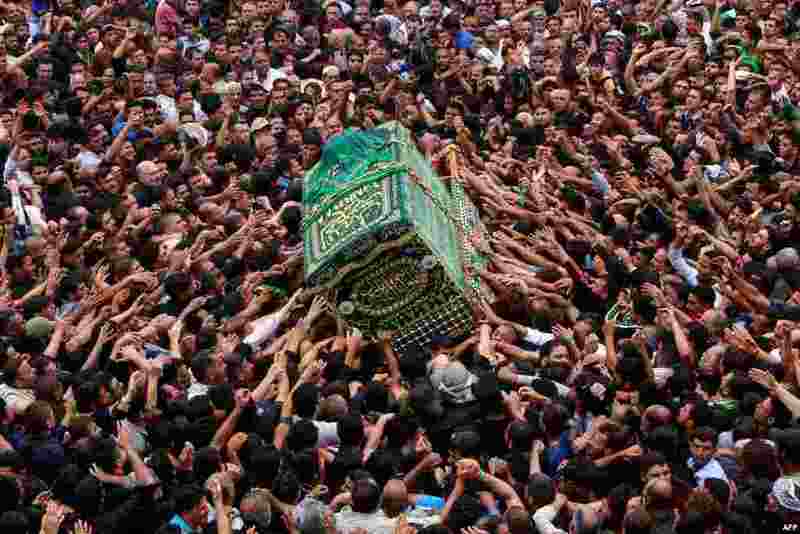 1 Iraqi Shi'ite Muslim worshipers carry the symbolic coffin of the 8th century Imam Musa al-Kadhim during the funeral processions on the anniversary of his death at his shrine in Baghdad’s northern district of Kadhimiya. 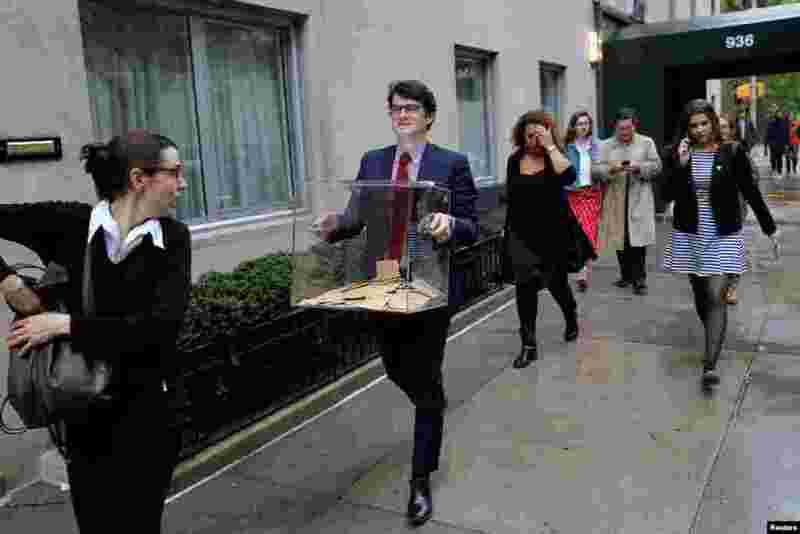 2 A volunteer carrying completed voting ballots evacuates the Consulate General of France after a New York Police identified a suspicious vehicle parked outside the entrance in Manhattan, New York. 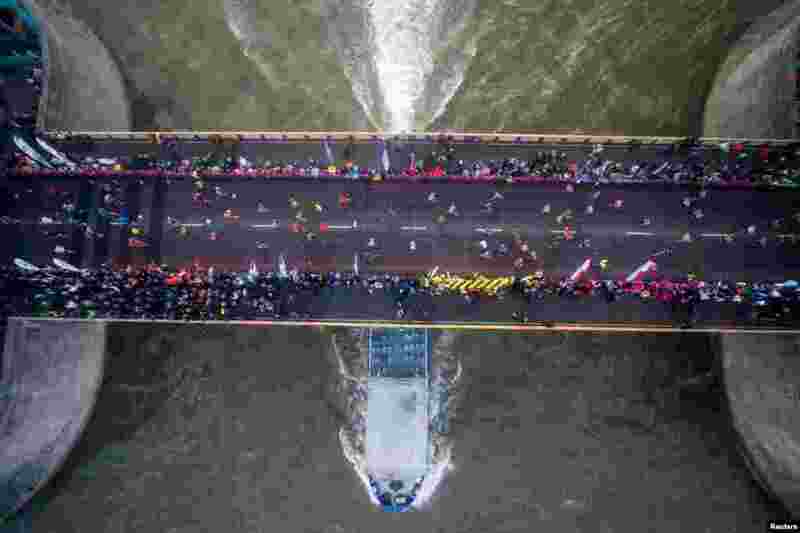 3 Runners cross the half way point on Tower Bridge during the London Marathon. 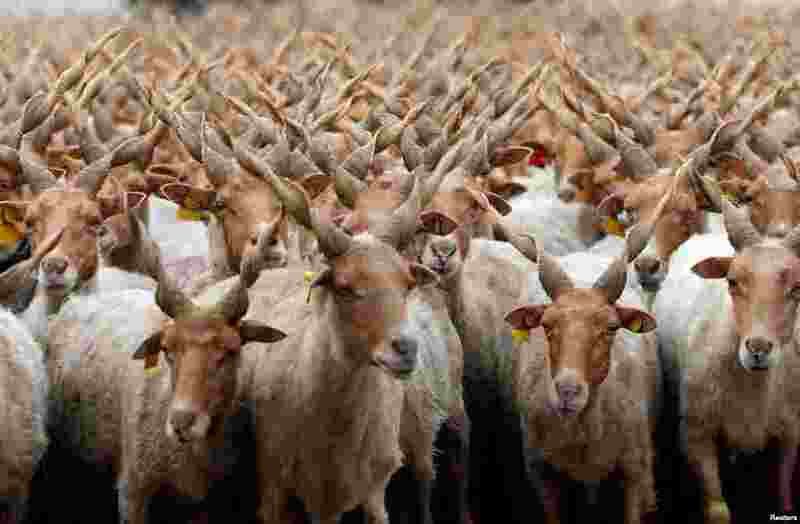 4 Racka sheep are seen during celebrations for the start of the new grazing season in the Great Hungarian Plain in Hortobagy, Hungary.